Lately I have been making a conscious effort to change my diet and eat more healthy, whole foods. It can be difficult to find the time to cook, or the will to after a long day. Keeping healthy options around acts as a good deterrent and helps me stay on track. I usually eat pretty well and try to avoid processed foods as much as I can, but I do have a sandwich addiction and share far more desserts than dinners on this blog. 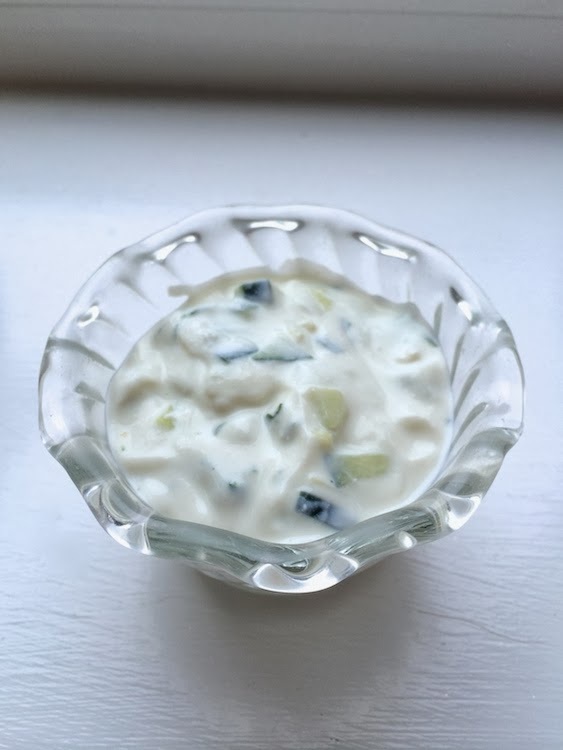 So instead of a recipe for some kind of chocolatey dessert, today I'm sharing a simple and easy recipe for my favorite part of a falafel, the cucumber yogurt sauce! 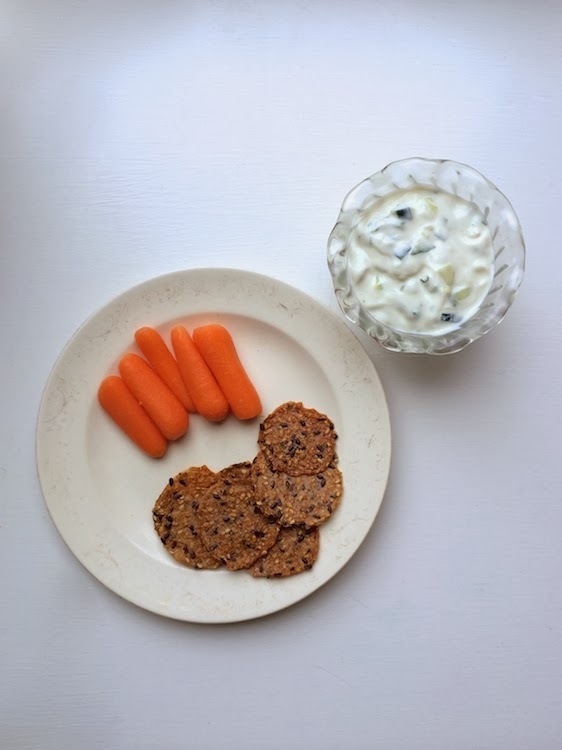 It makes a great snack, paired with carrots, celery, and/or crackers, and even an alternative to salad dressing (over grilled chicken and arugula). 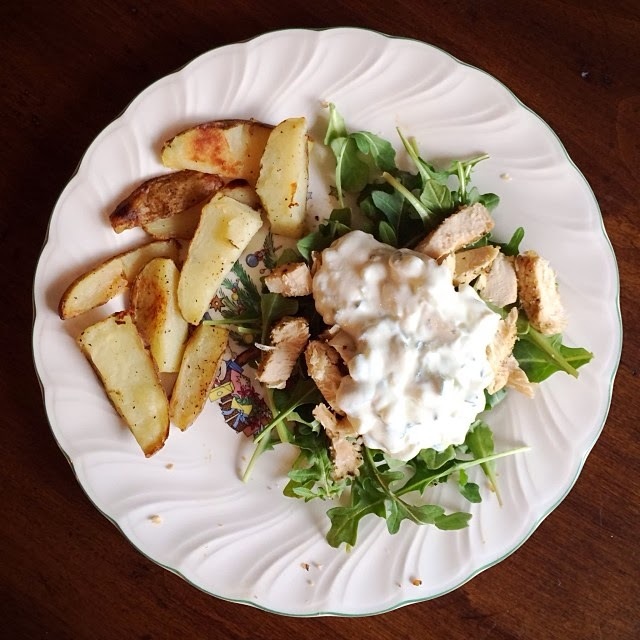 This recipe is an adaption of one that Mary Helen Bowers shares in her wonderful book, Ballet Beautiful, and your standard tzatziki sauce. Measure out yogurt and place in a bowl. 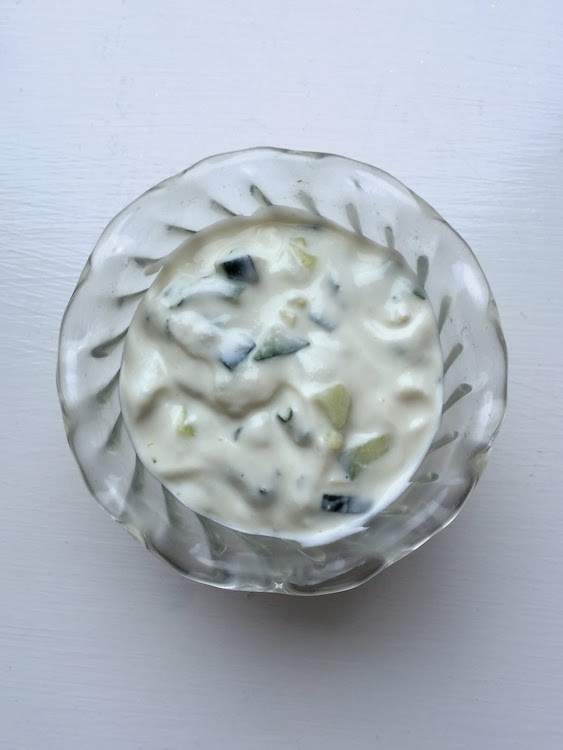 Finely chop the cucumber, garlic, and fresh herbs and add to bowl with yogurt. Add lemon juice and stir until filled mixed. *I love cilantro, so I use when I make this dip. A lot of people don't, so please feel free to use whatever herbs you like best! looks delicious! i bet it's good dipping the potatoes in it too!